My good friend spent countless time and money putting together this Remington 700 rifle. His trial and error upon making the perfect, at least in his opinion, tactical Remington 700 can help you get some ideas in customizing your own. If anyone has any questions please leave a comment and I’ll get back to you. 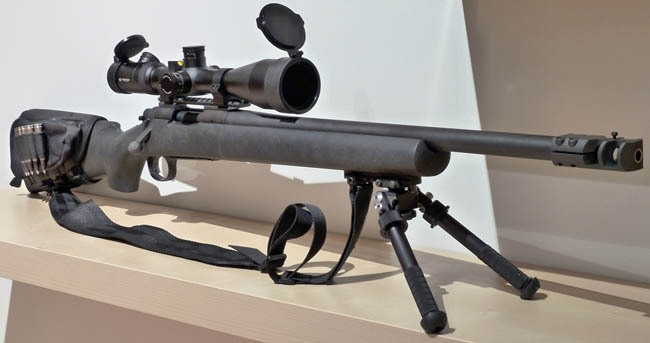 This entry was posted in Firearms and tagged Atlas Bipod, BlackHawk IVS, H-S Precision, killFLASH, Nightforce, Remington 700, Remington 700 SPS Tactical, Remington X-Mark Pro, Roedale Precision, Vortex Viper PST on August 11, 2014 by GunGuy. A good friend of mine seems to have an endless supply of disposable income. As you will see below he spared almost no expense customizing a Remington 700 rifle. It’s a beauty. Now all I have to do is convince him to go to the range and give me and all of the readers here a proper range report of the rifle, including pictures of the targets and ammo used. I know he checks this web site periodically. I’m calling you out buddy. I mean it. You should feel guilty for not taking this bad boy to the range. Till then here is a list of everything that he’s done to it plus pics. This entry was posted in Miscellaneous and tagged Accu Shot Atlas Bipod, Atlas Bipod, BlackHawk IVS, Leupold 30 MM QRW, Nightforce, Remington 700 Custom, Remington 700 Police, Remington X-Mark Pro, Roedale Precision, Timney Rifle Trigger, Vortex Viper PST on June 20, 2014 by GunGuy.